Although the growth rate of the global air freight transportation services market is expected to decline over the forecast period of 2012-2017 compared to the trend period (2006-2011), the market is expected to grow to an estimated US $137 billion in 2017 with a CAGR of 3% over the next five years (2012-2017). The global air freight transportation industry is primarily engaged in providing air transportation of cargo without transporting passengers over scheduled routes or non-scheduled routes and includes both domestic and international freight. The Air Freight Transportation Services market witnessed moderate growth over last five years, while APAC and ROW depicted comparatively high growth because of the ongoing infrastructure boom in APAC and the implementation of open skies policies in ROW. Although the high price of crude oil price continues to threaten margins, the economic and manufacturing growth is driving demand for all forms of cargo transportation. The European Air Freight market is projected to lead the industry whereas APAC is expected to witness the highest growth rate during the forecast period. 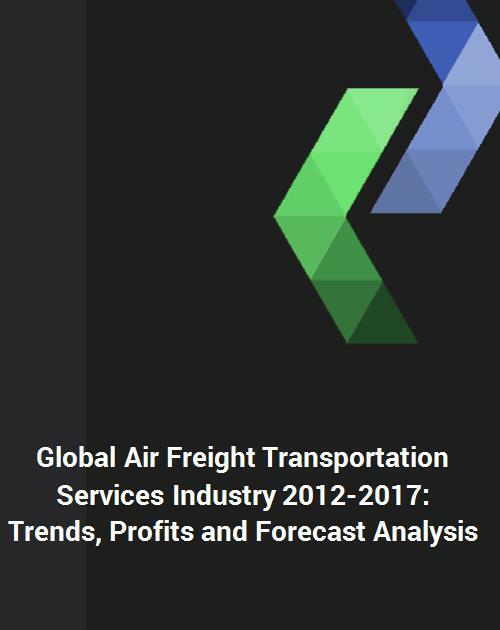 This study tracks two market segments for four regions – thus it tracks eight segments of the global air freight transportation services market. This report includes freight transportation by air only and does not include passenger transportation. This comprehensive guide from Lucintel provides readers with valuable information and the tools needed to successfully drive critical business decisions with a thorough understanding of the market’s potential. This report can save Lucintel clients hundreds of hours in personal research time on a global market. It also offers significant benefits in expanding business opportunities throughout the global air freight transportation services industry a fast-paced ever-changing world, business leaders need every advantage available to them in a timely manner to drive change in the market and to stay ahead of their competition. This report provides business leaders with a keen advantage in this regard by making them aware of emerging trends and demand requirements on an annual basis. - It saves time. Lucintel delivers the report in hours collection and report writing. - It helps you make confident business decisions quickly.